The disturbing death and public autopsy of a giraffe at the Copenhagen Zoo in Denmark sparked international backlash last weekend, leading animal advocates to cry foul and the zoo to defend its actions. Then, word broke that a popular drive-through safari park in England euthanized a group of lions to combat problems stemming from unplanned mating and "relatively high levels of inbreeding." 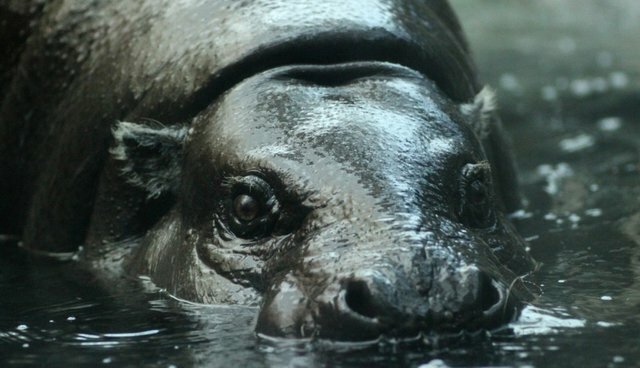 Now, reports of other European zoos euthanizing their river hog piglets, pygmy hippos, tigers, antelopes, bison and zebra to preserve genetic diversity in their populations have surfaced, says TIME. "As a conservation organization, we realize that there's a crisis in the natural world, and that we have an obligation to protect species in the wild from human actions," says David Williams-Mitchell, communications and membership manager for the European Association of Zoos and Aquaria (EAZA). "One of the ways we do that is through breeding programs. But we have limited space within EAZA to carry out that, and we need to prioritize animals that can contribute to future of the species." In the spring of 2012, the zoo put down, via lethal injection, two leopard cubs whose genetics were over-represented. "We cull antelopes and wild boar at the zoo every year for the same reason," says Bengt Holst, the zoo's scientific director. "I don't understand the outrage." In 2010, the decision by officials at Edinburgh zoo to put down two hog piglets named Sammi and Becca sparked protests. ....a court in Germany ruled that the Magdeburg zoo director and three workers were guilty of violating animal rights law for putting down three tiger cubs. And Friederike von Houwald, curator of Switzerland's Zoo Basel, mentioned a zebra he euthanized a few years ago, which was also fed to lions. Zoo officials contend that many of the euthanasias are for the animals' own good, saying that exotic pets are a huge responsibility and can't be cared for by just anyone or any zoo. They also say that many animals would die if released into the wild, and that neutering and contraception prevent animals from behaving normally. But many contend that this is no excuse to kill an animal, and that other measures should be taken to keep them alive -- or that they should never be bred in the first place. As The Dodo contributor and Ecology Professor Marc Bekoff points out, zoos should serve individual animals and not create "surplus" animals from the start. Zoos, as long as they exist, must be for the animals who are forced to live there, not for the people who visit or run them. We really need some radical changes now that emphasize how important is the life of every single animal living in captivity.